Fast-food giant McDonald’s released a vegan version of its chicken nuggets in its Norway branches, reports VegNews. 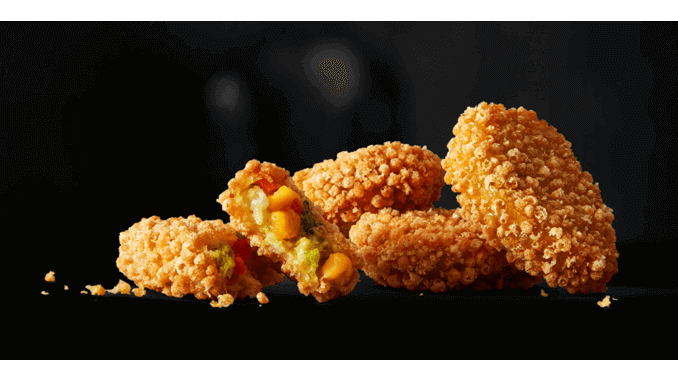 The plant-based version of McNuggets is coated in the traditional breading and made of chickpeas, carrots, cauliflower, corn, onion, and potatoes. McDonald’s Norway also introduced a Vegetarian McFeast burger, which comprises of a breaded bean-based patty, cheese, McFeast sauce, ketchup, mustard, lettuce, tomato, onion, and pickle. The burger can be ordered without the cheese, which makes it suitable for vegans. Since the successful launch of the McVegan burger in Finland and Sweden in 2017, McDonald’s has continued adding plant-based options to its menu across the Nordic. The second vegan burger, El Veggo was introduced to the menu in 65 locations in Finland last year. In January, vegan McFalafel was introduced in McDonald’s Sweden, which is made of chickpea-based falafel nuggets with a vegan pepper dip. The McFalafel is available both on the adult menu or as part of a Happy Meal. In the UK, McDonald’s recently launched a vegan Spicy Veggie Wrap and its kid-friendly version which is available as part of a Happy Meal.